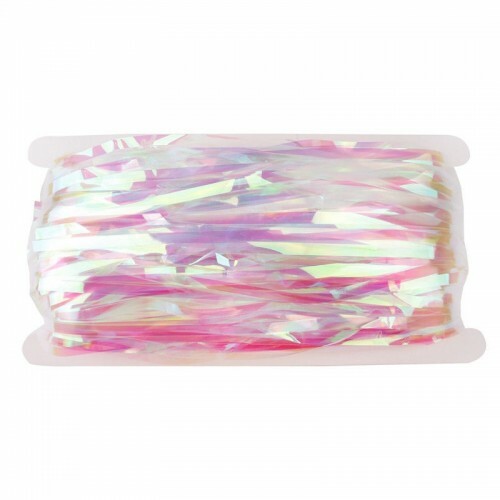 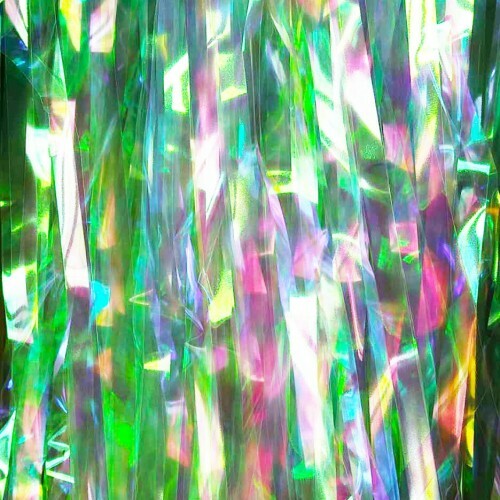 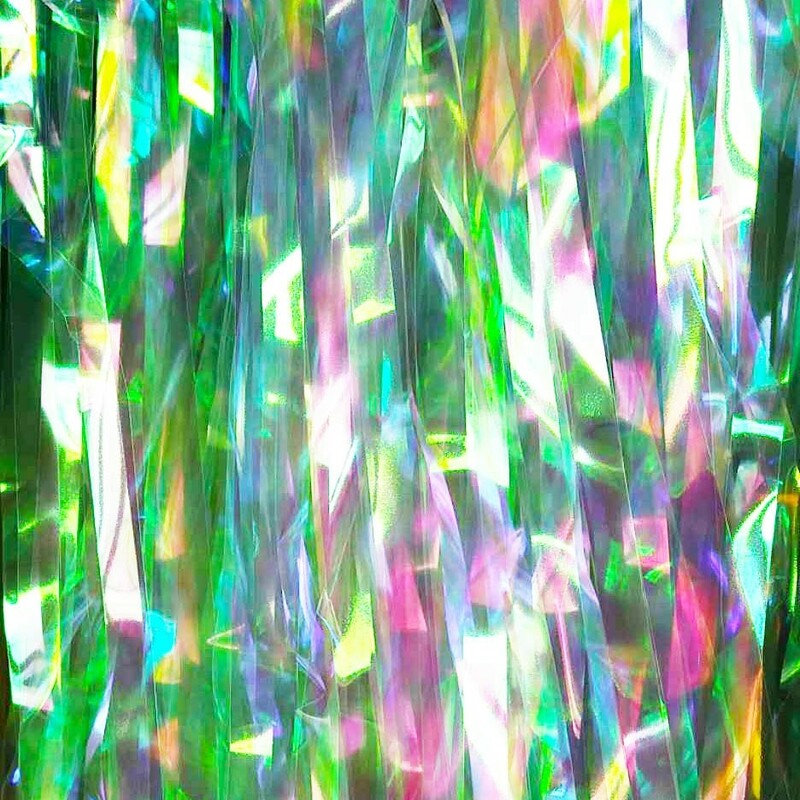 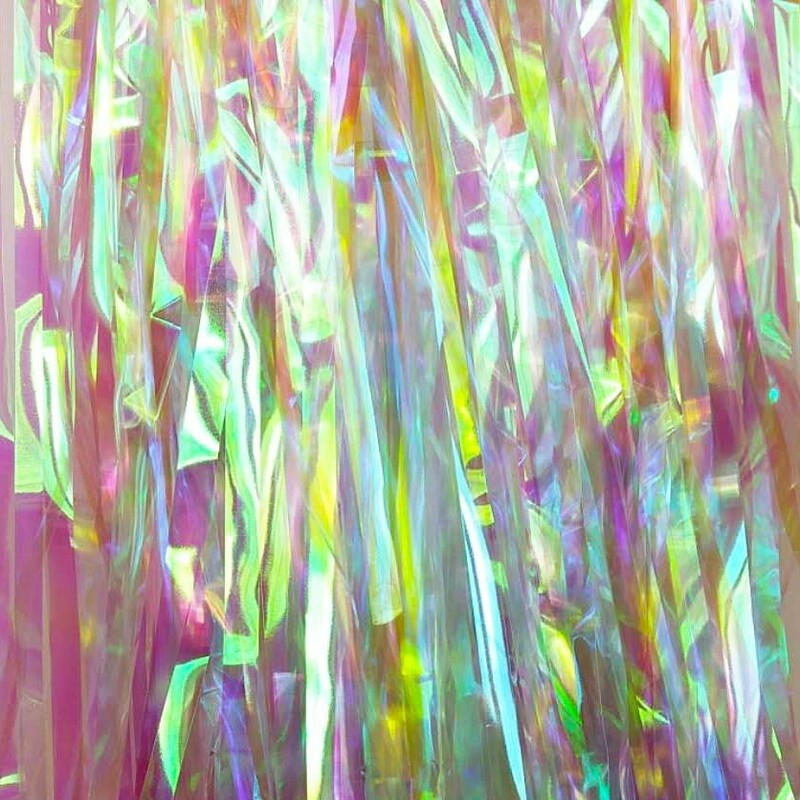 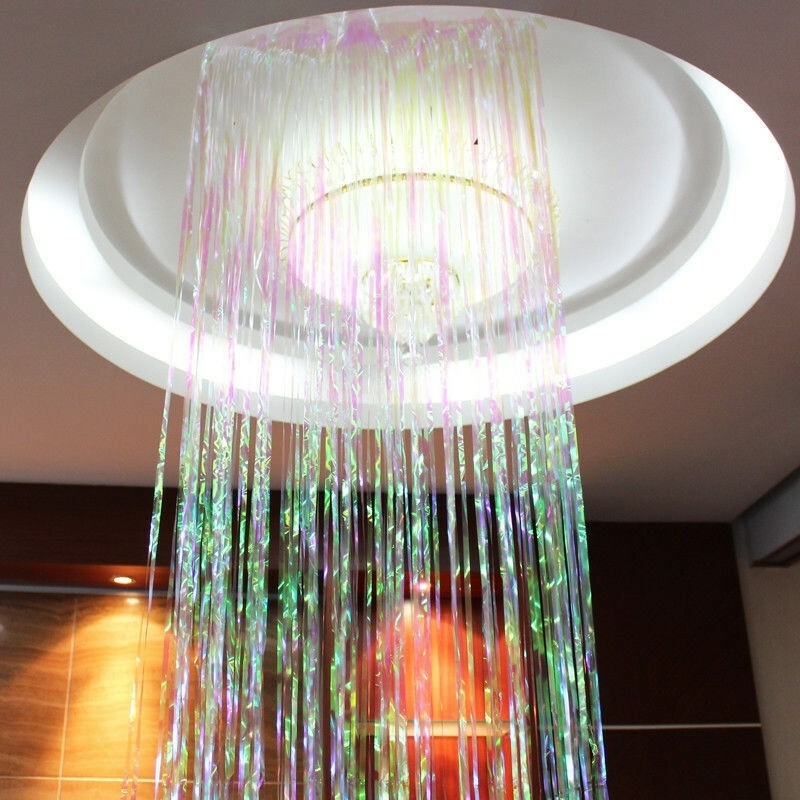 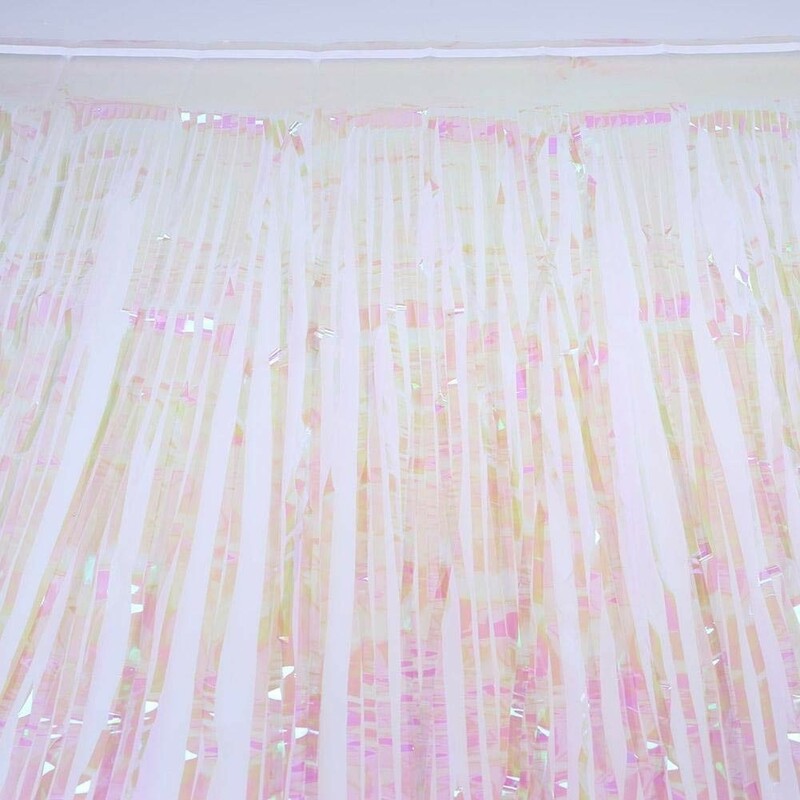 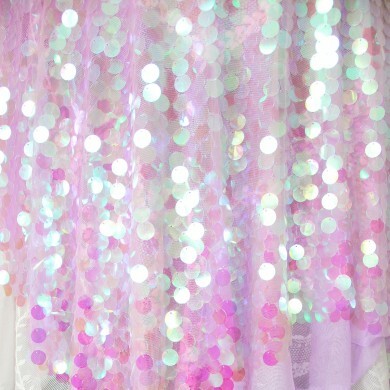 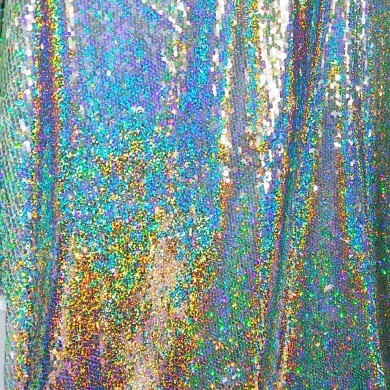 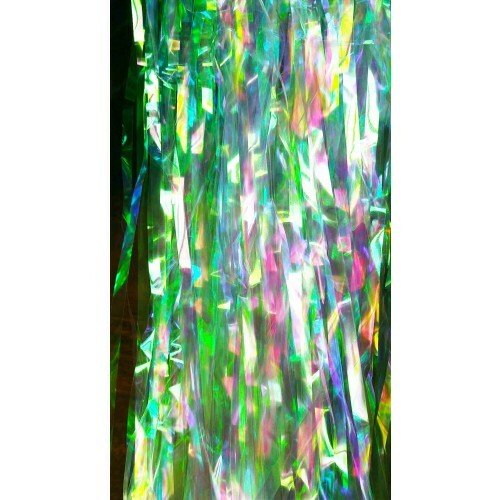 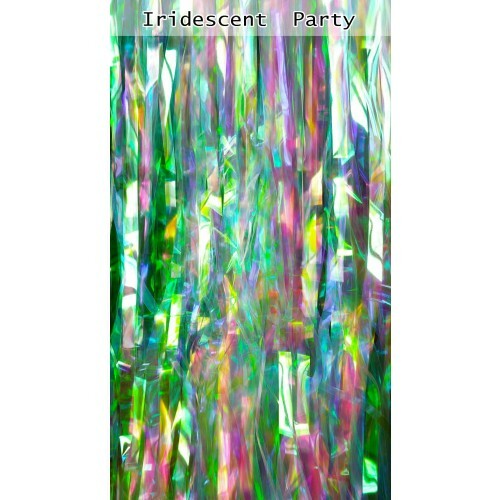 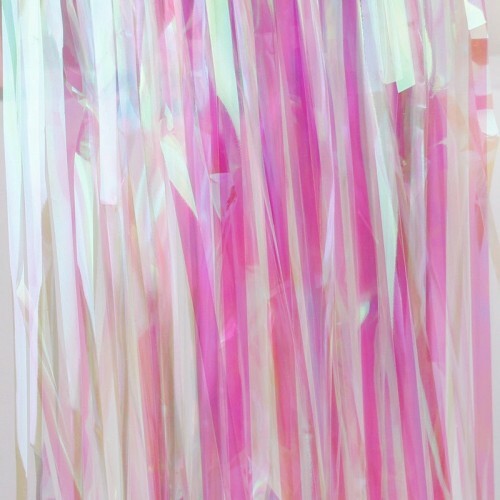 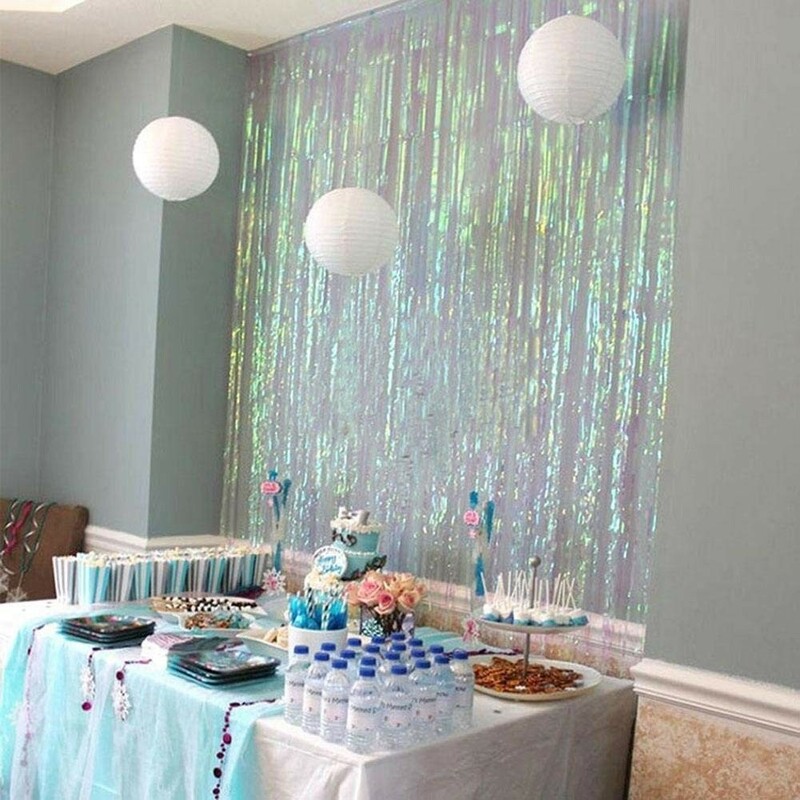 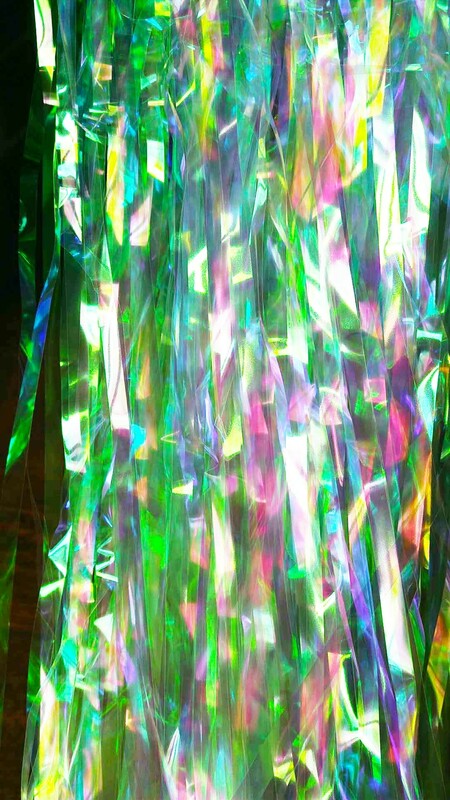 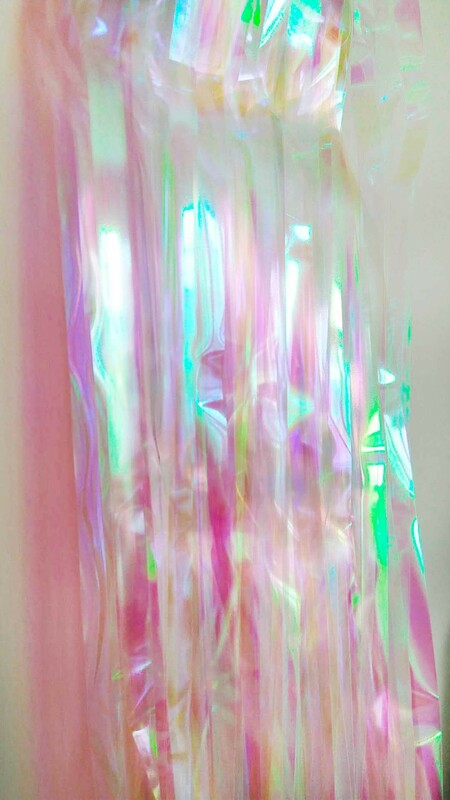 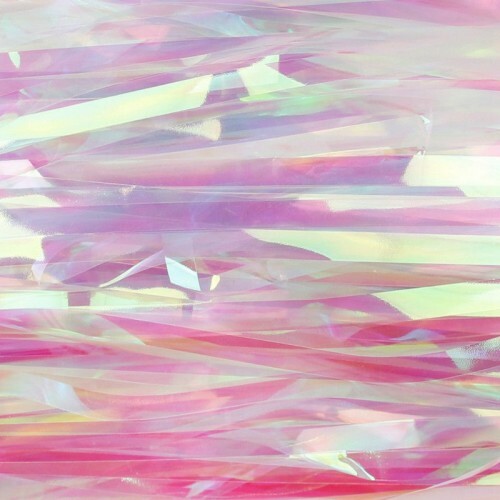 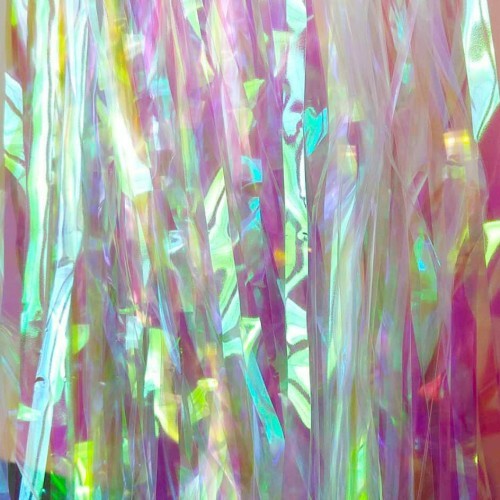 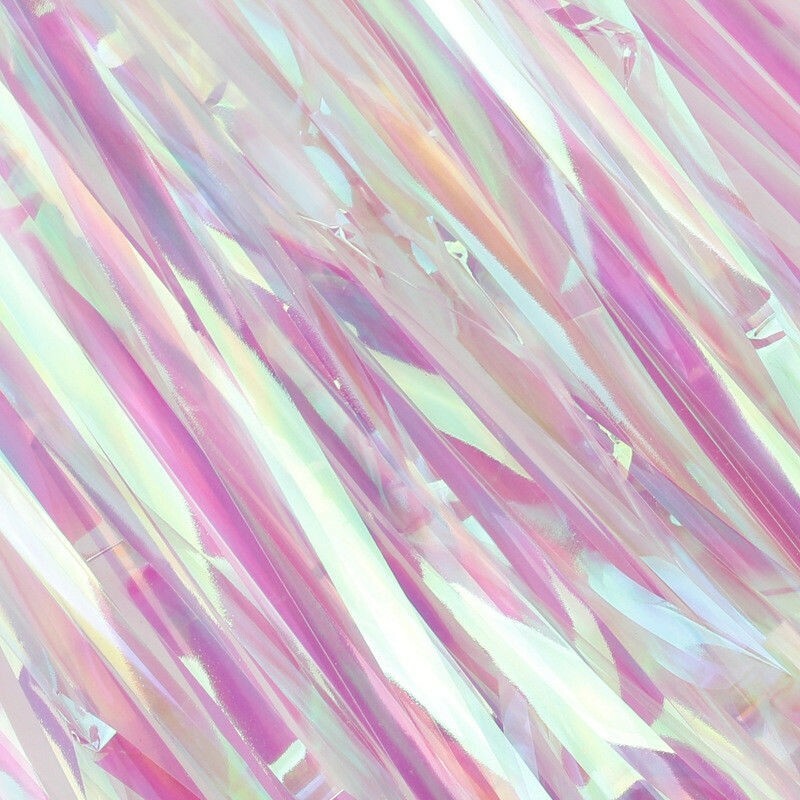 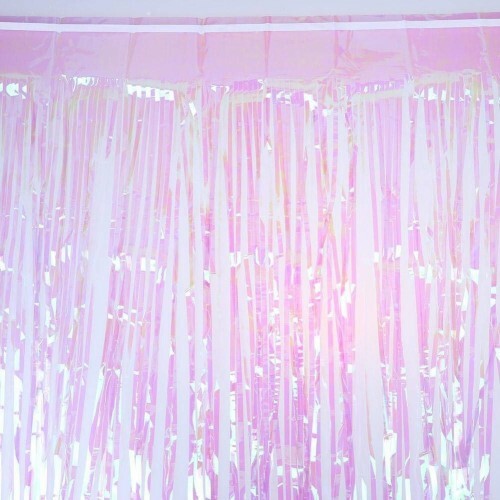 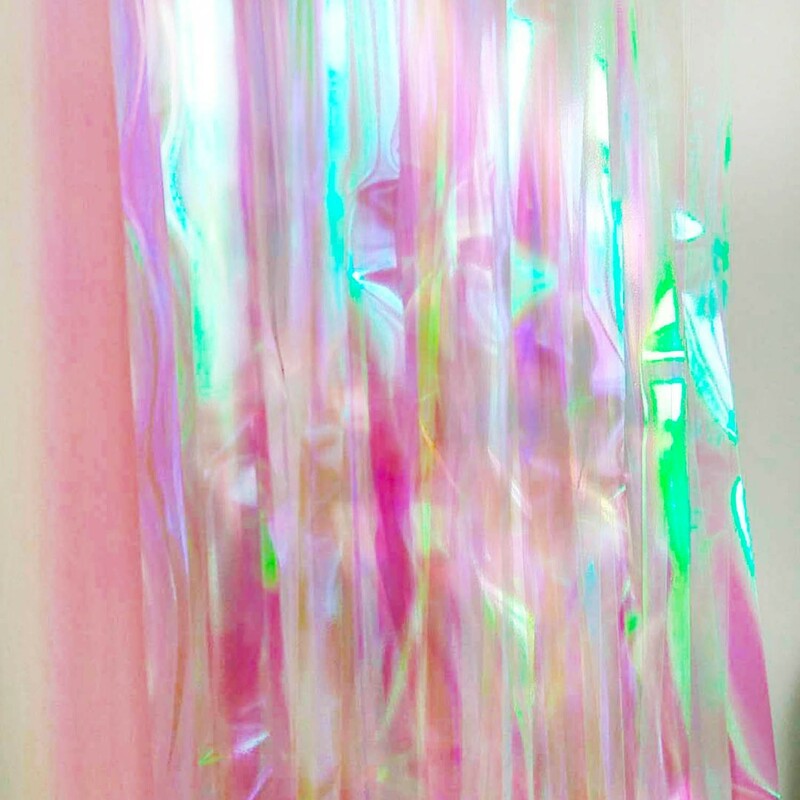 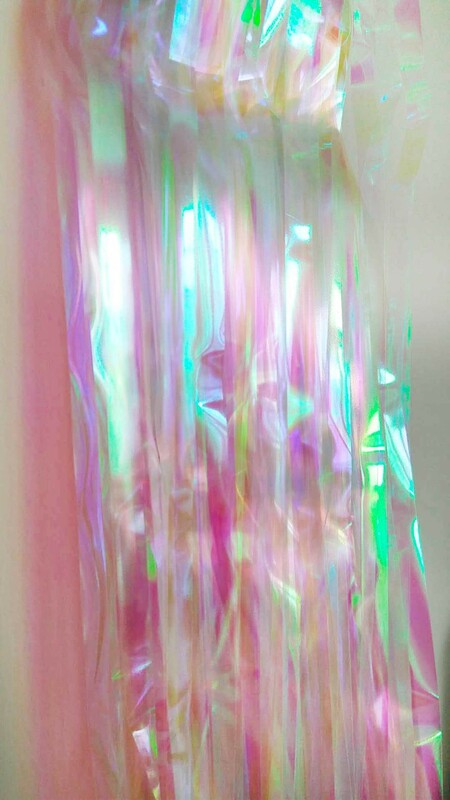 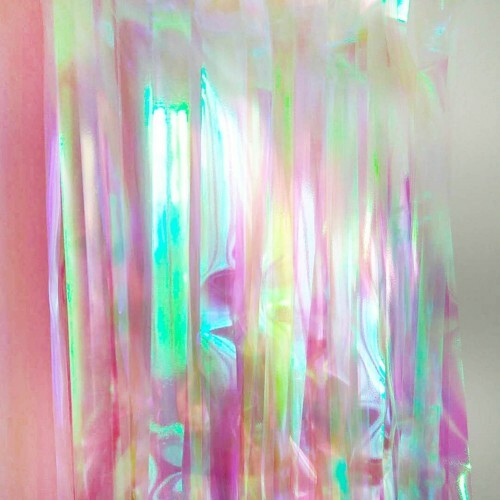 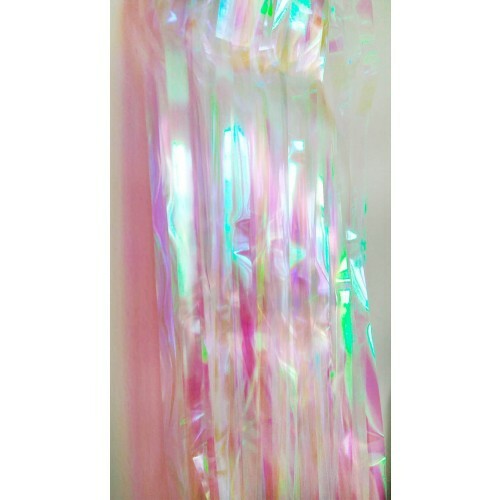 Iridescent foil curtains are awesome for your events. 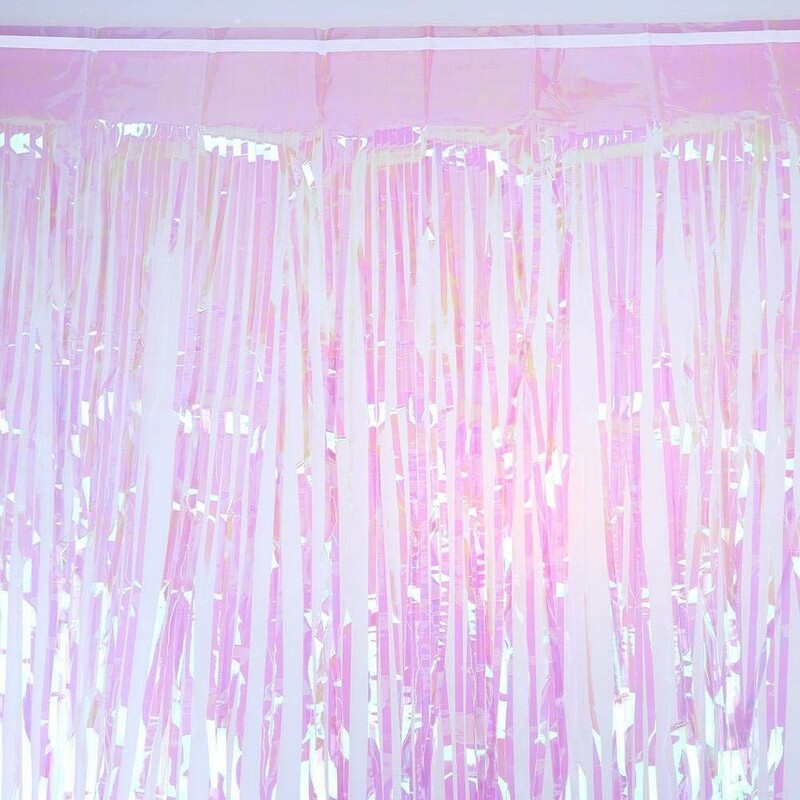 Simply hang the fringe curtain on walls and doors to create a unique party set-up! 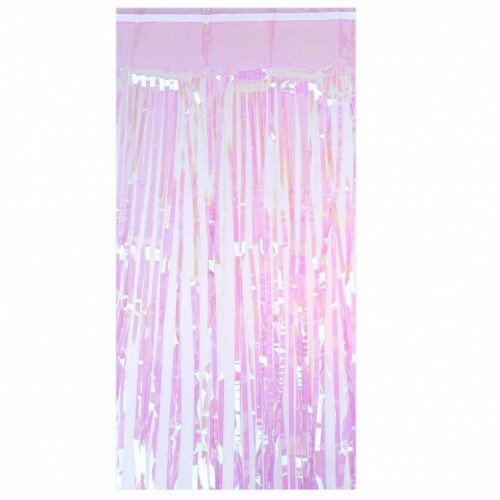 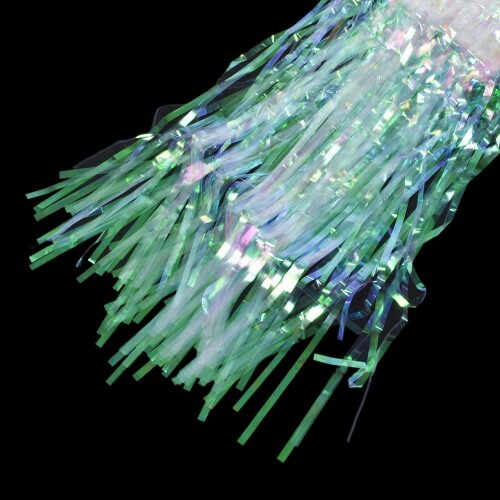 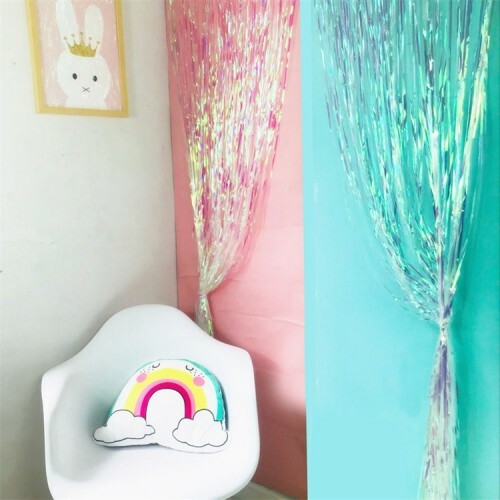 The trendy foiled fringe curtain is perfect for all ages and genders! 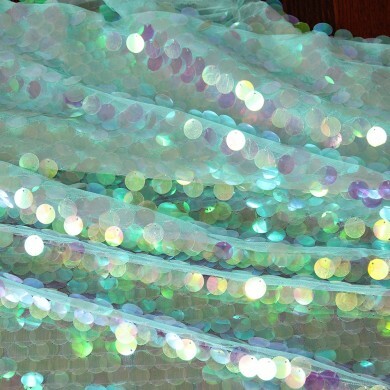 Tips: If you plan on not wanting to see through it, please purchase several to layer. The foil tassels are semi-transparent. You might need more than one foil curtain for the space you are decorating. 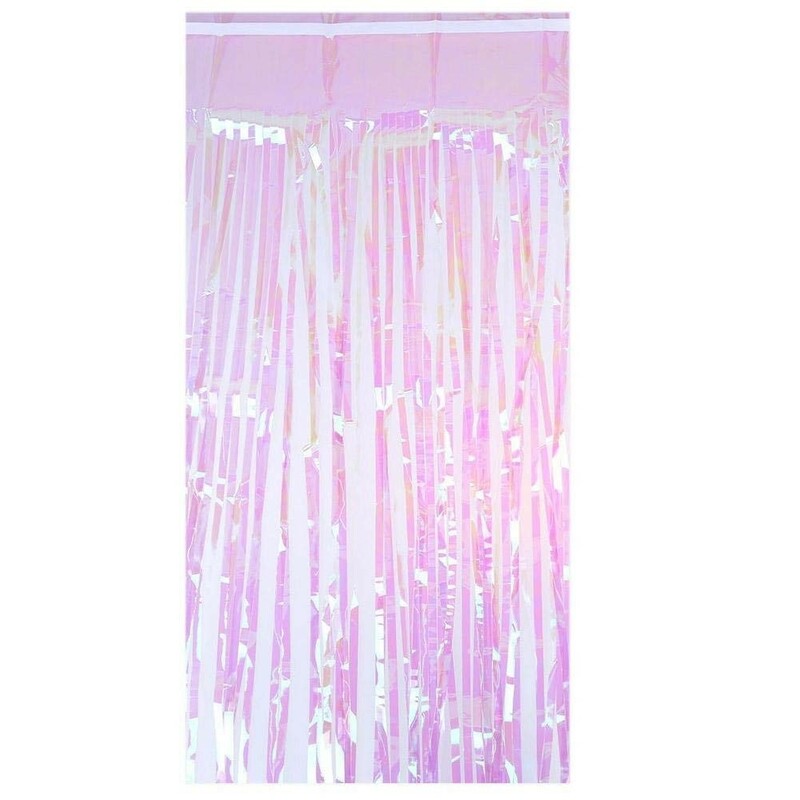 Please purchase more curtains when it is needed. 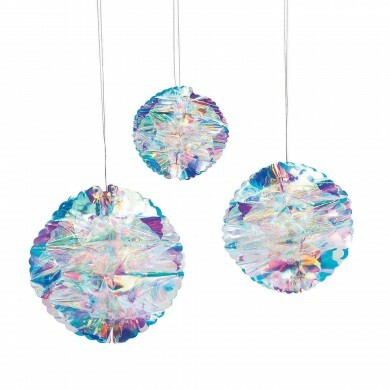 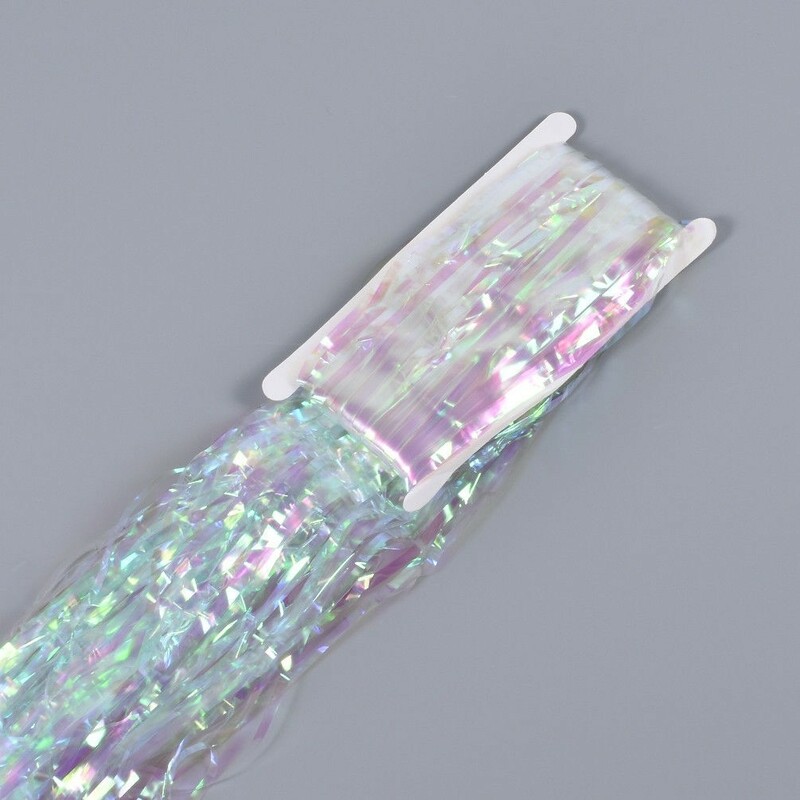 Visit other pages for matching iridescent hang decorations. 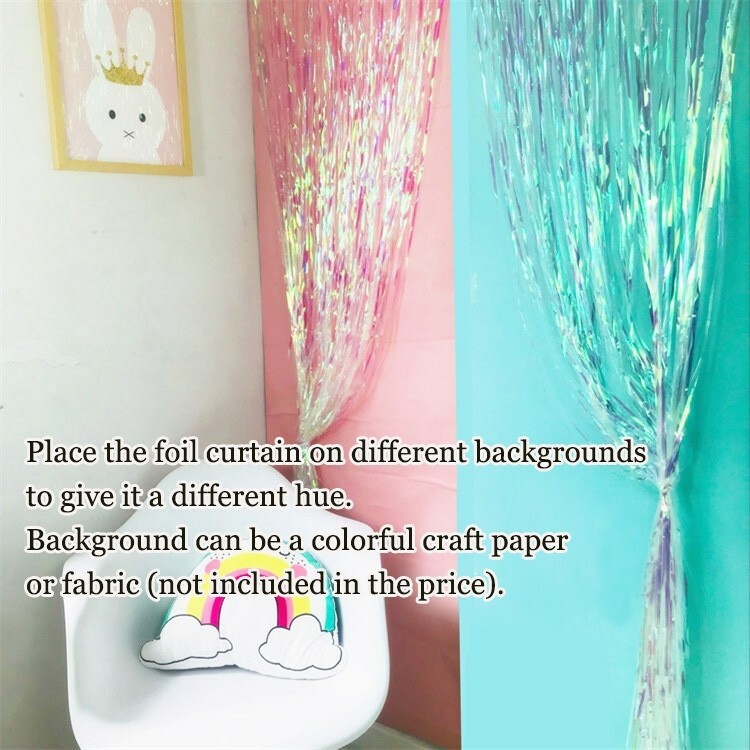 It has a double-sided tape that is stuck to the top edge of the curtain. 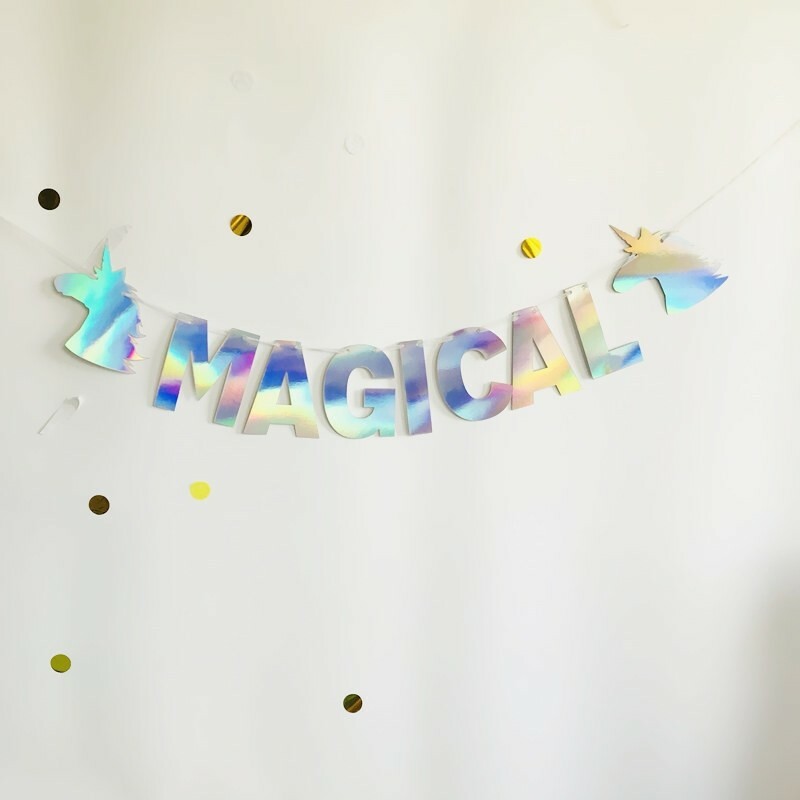 Just peel off and stick to the wall. 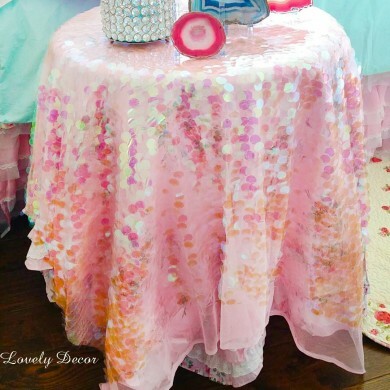 Place the foil curtain on different backgrounds to give it a different hue. 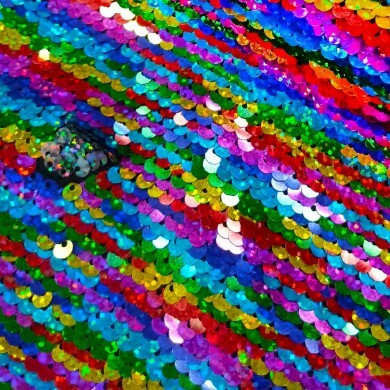 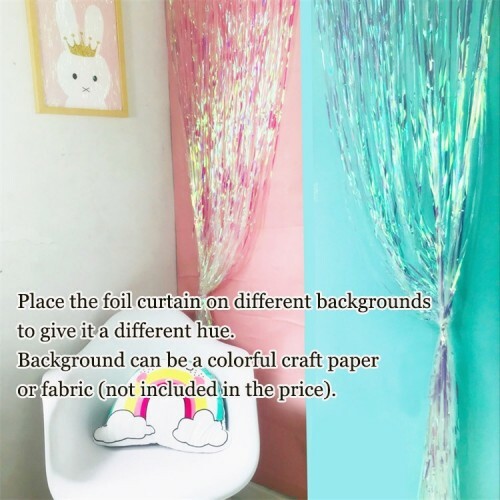 The background can be a colorful craft paper or fabric( not included in the price). 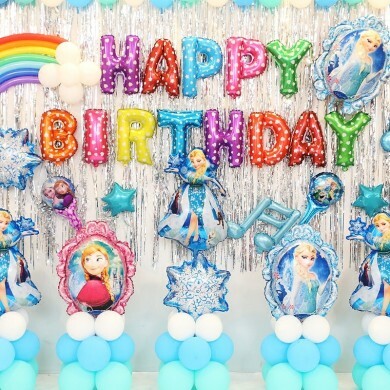 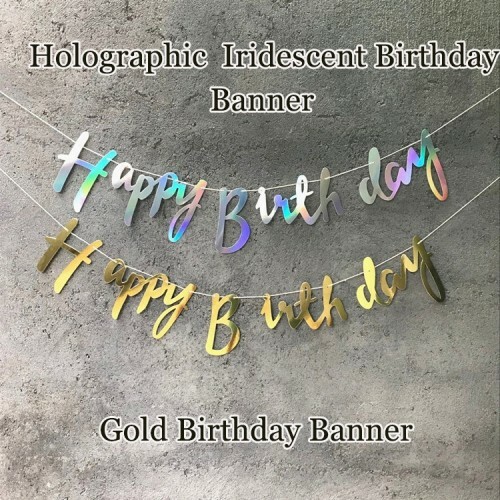 Banner option: When you select no banner option, you will receive one foil fringe curtain without the birthday banner. 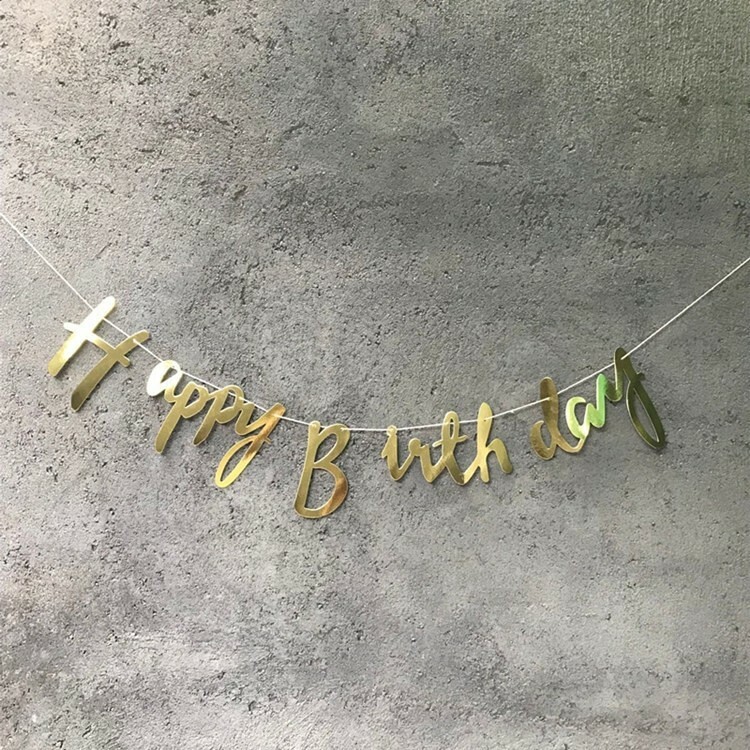 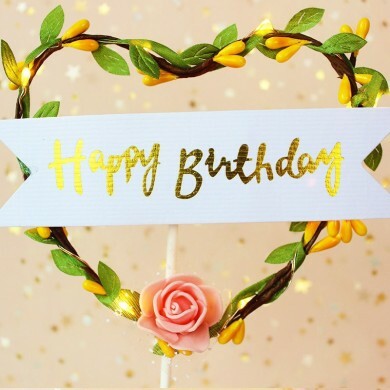 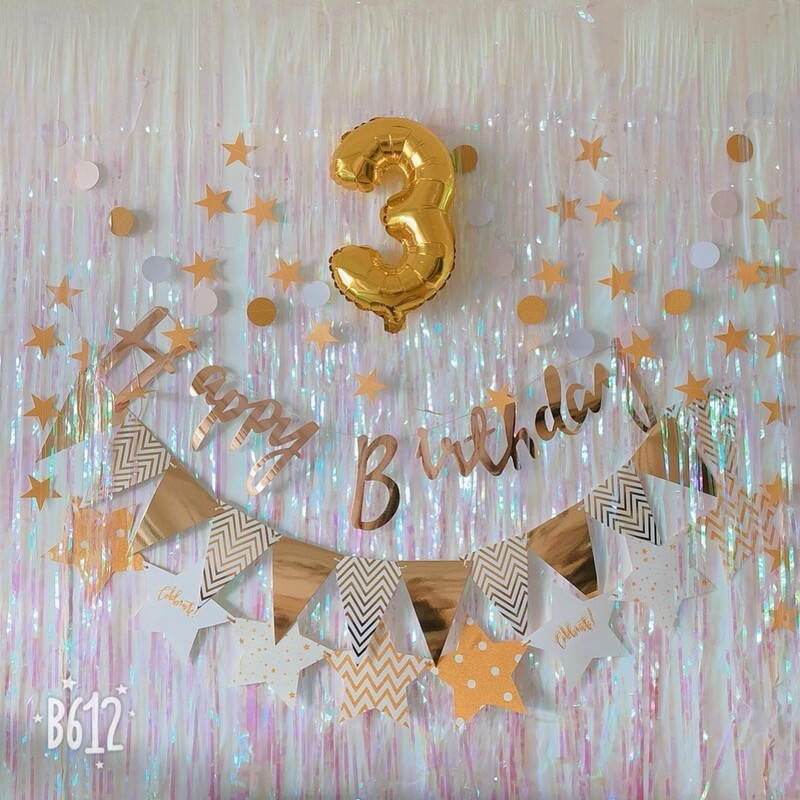 When you select the "Foil + Gold Birthday Banner" option, you will receive one foil fringe curtain with one gold birthday banner. 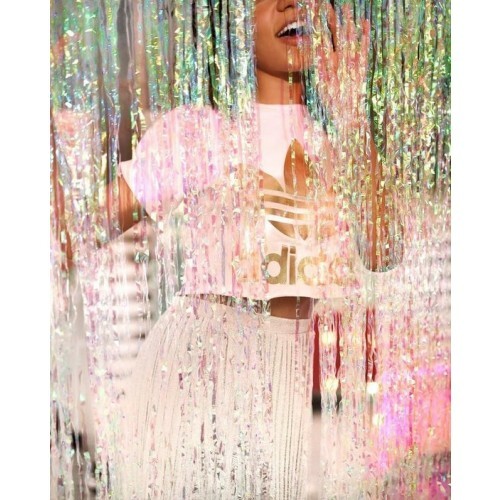 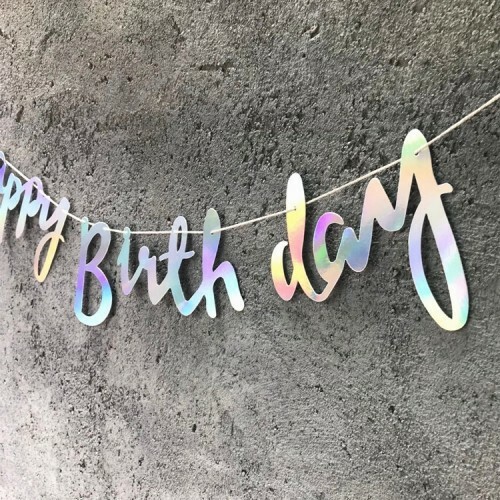 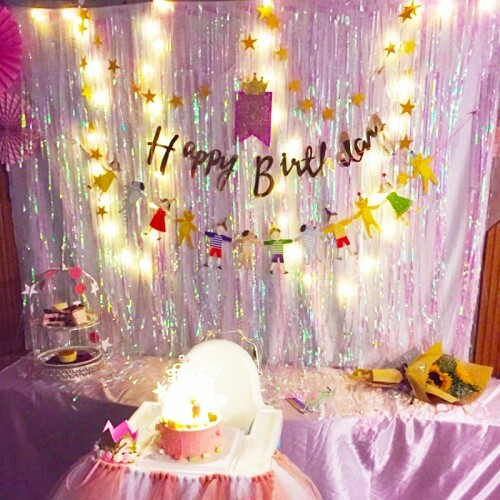 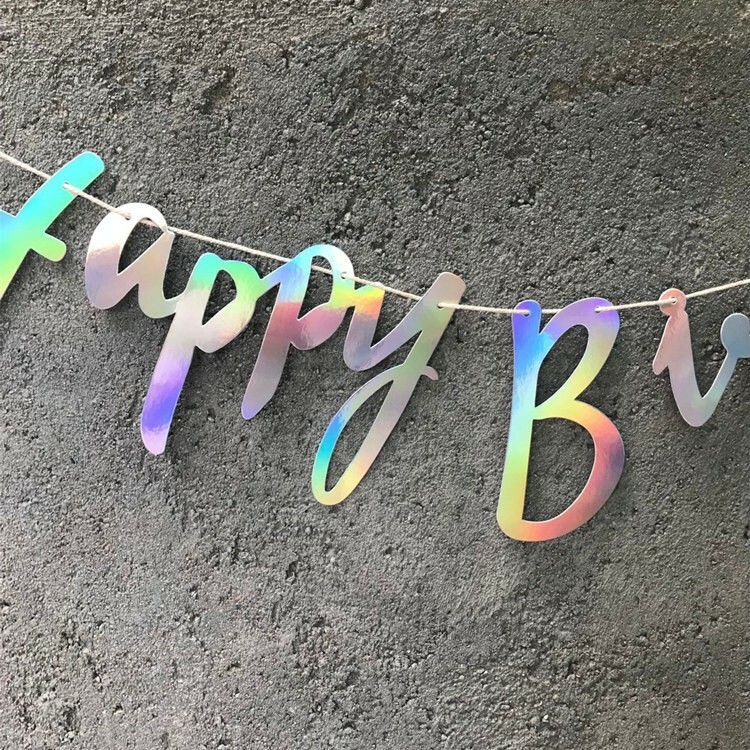 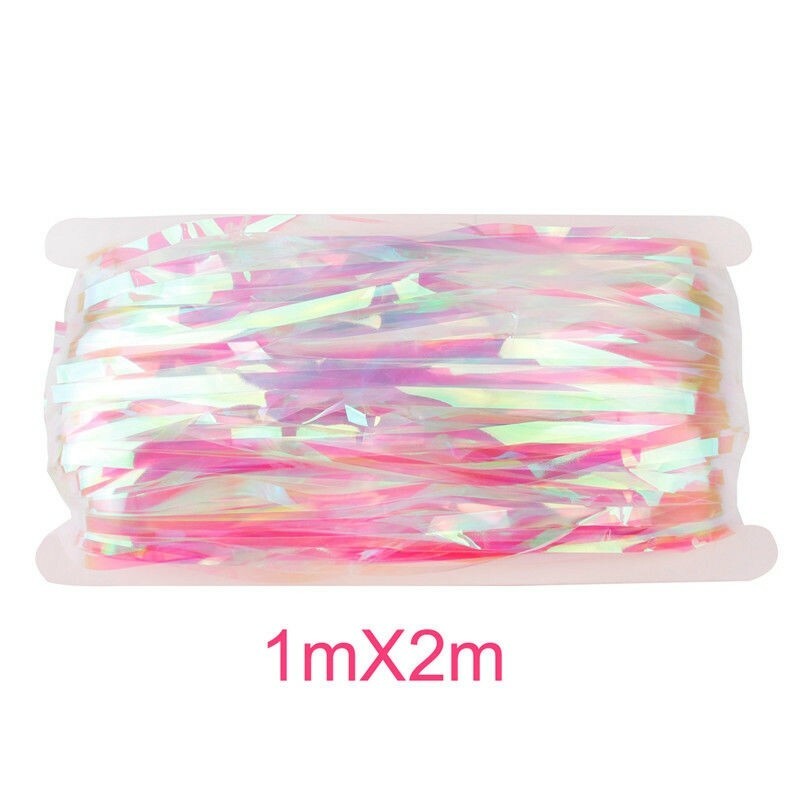 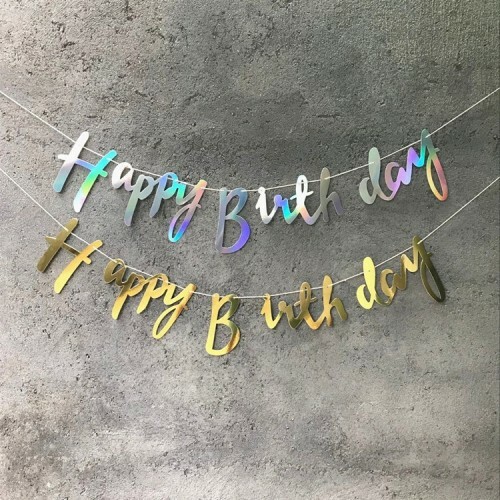 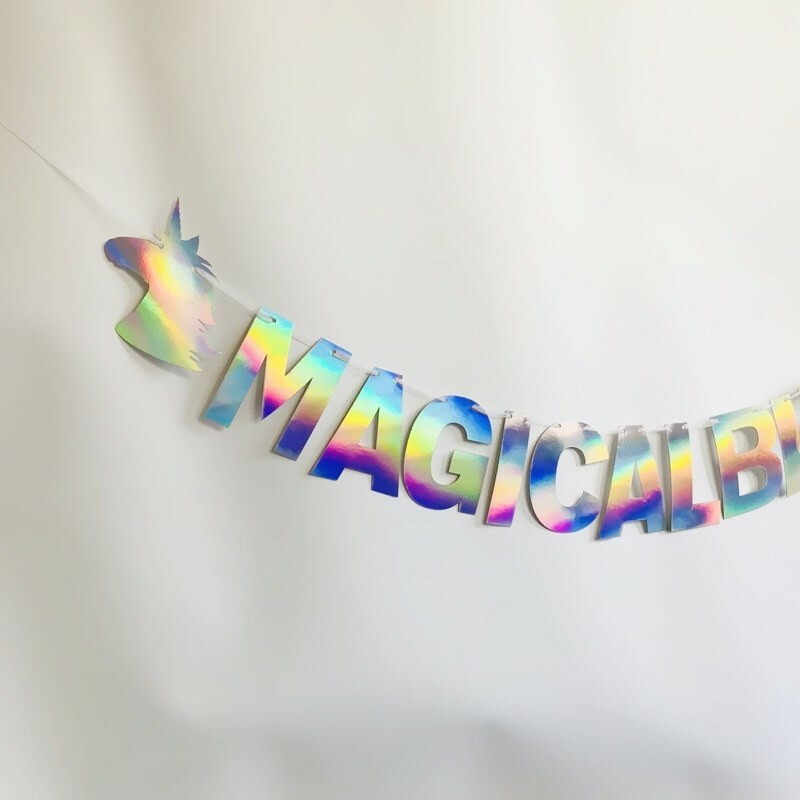 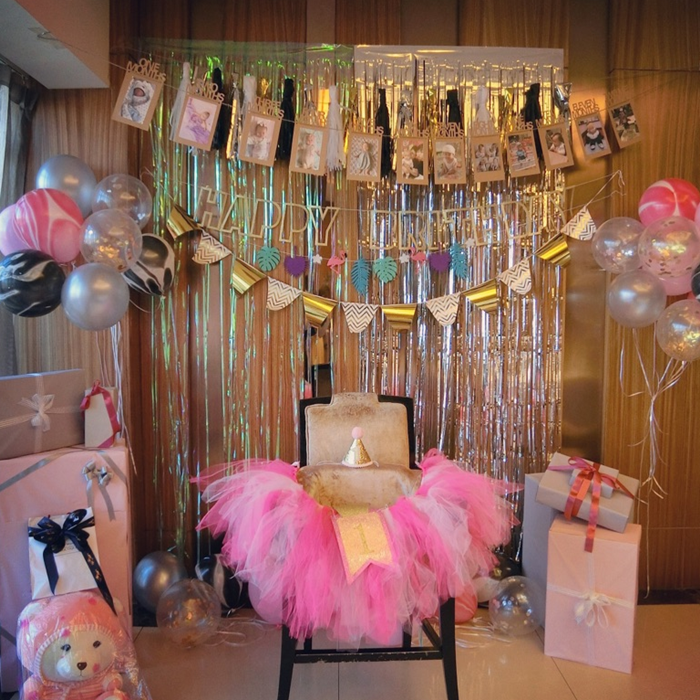 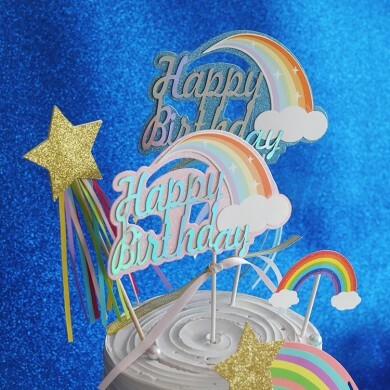 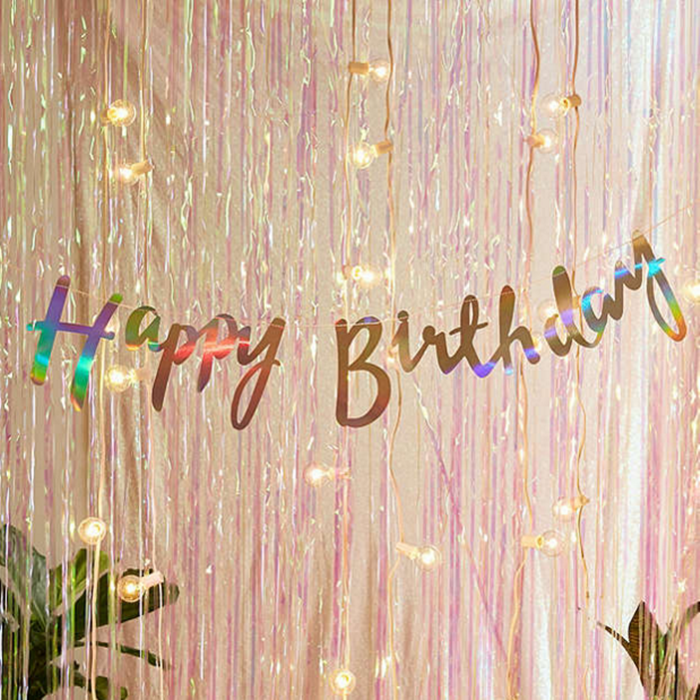 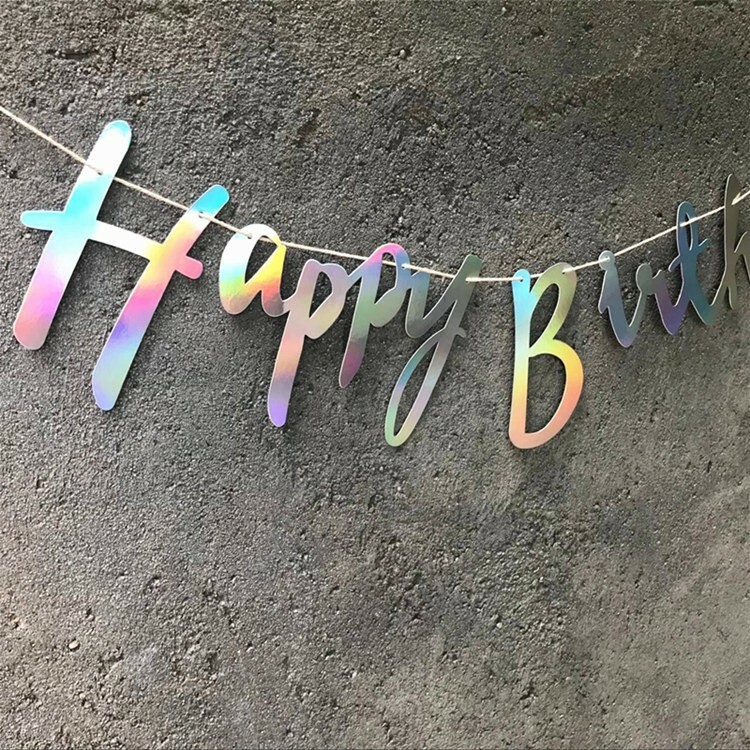 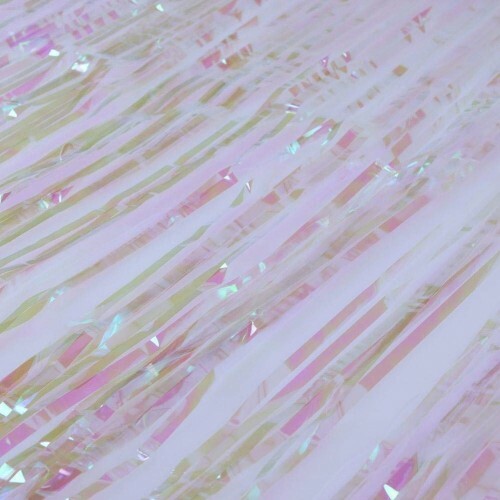 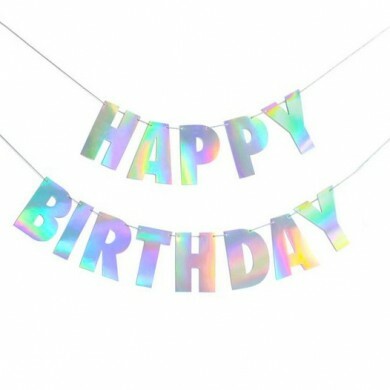 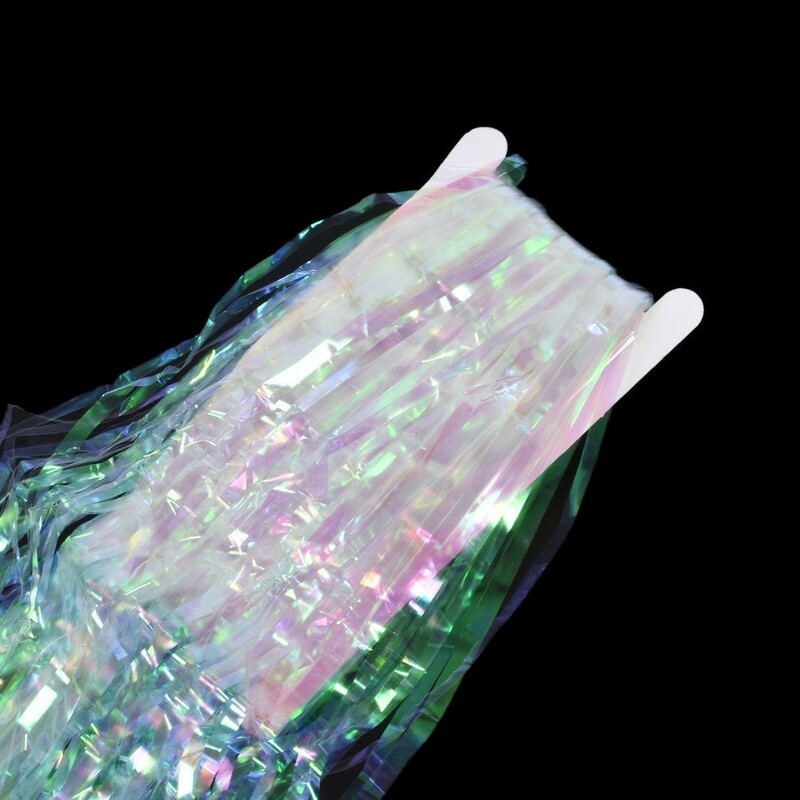 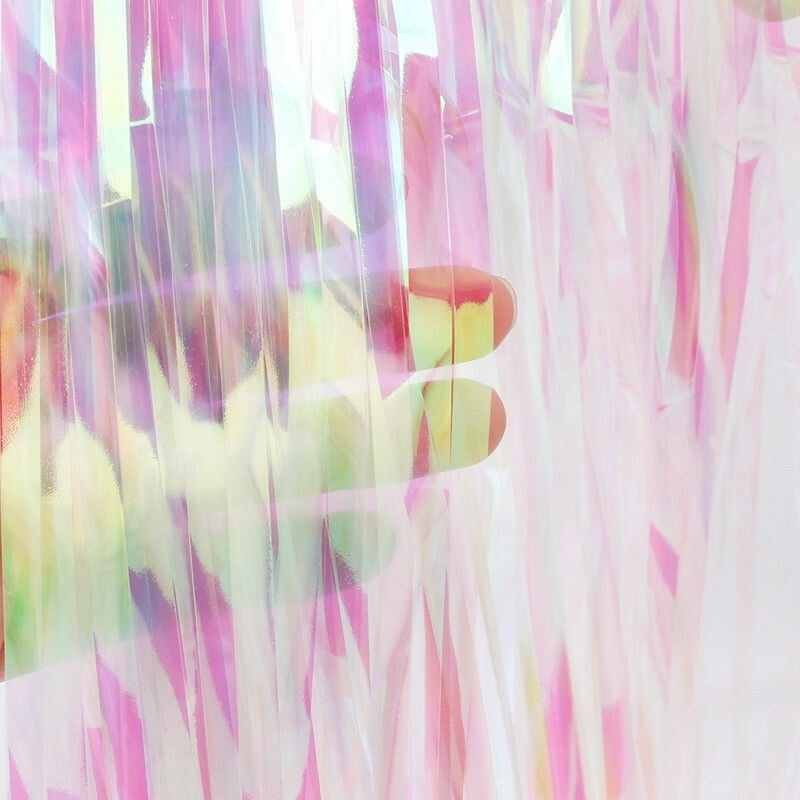 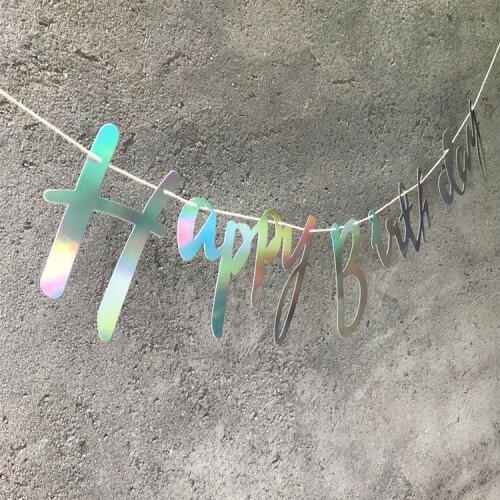 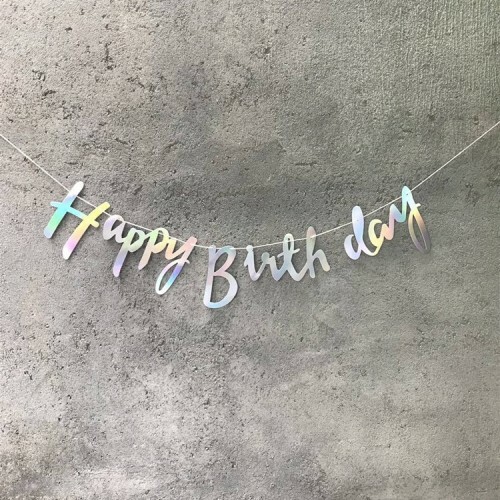 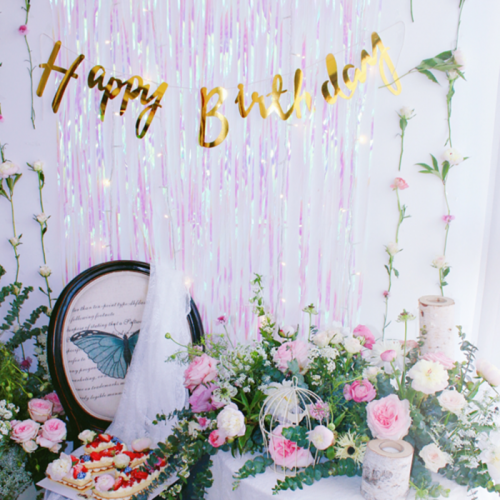 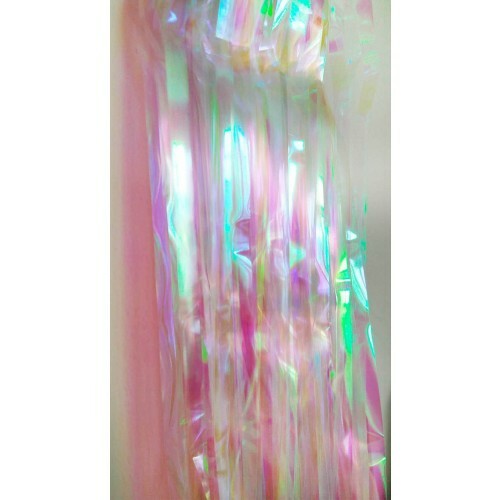 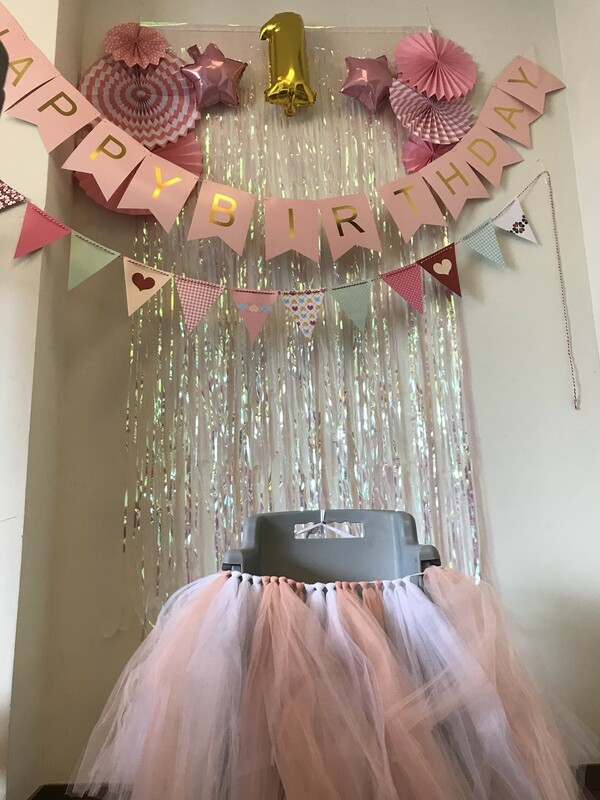 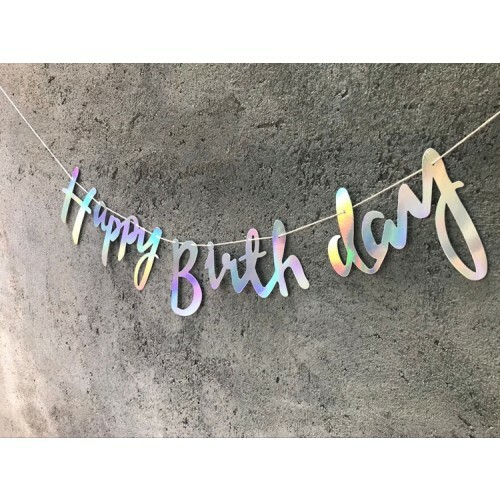 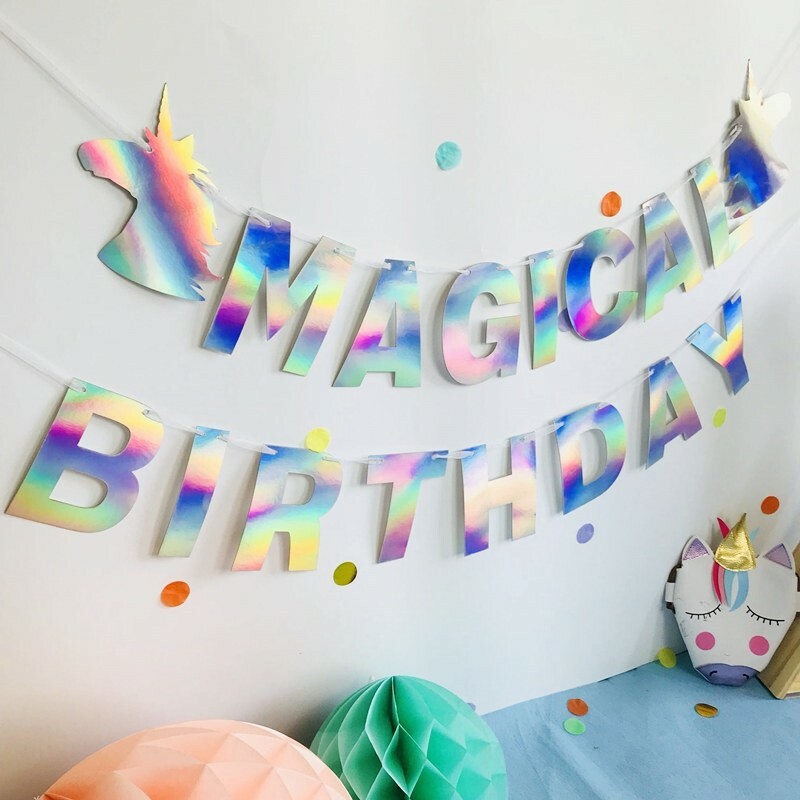 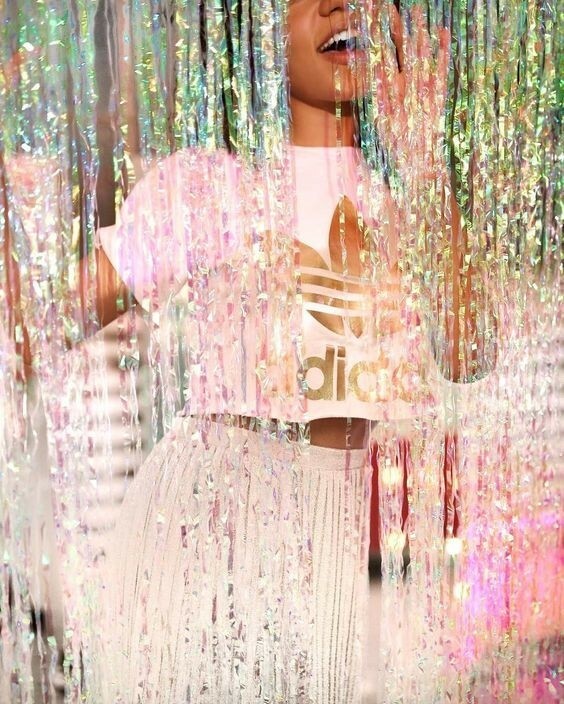 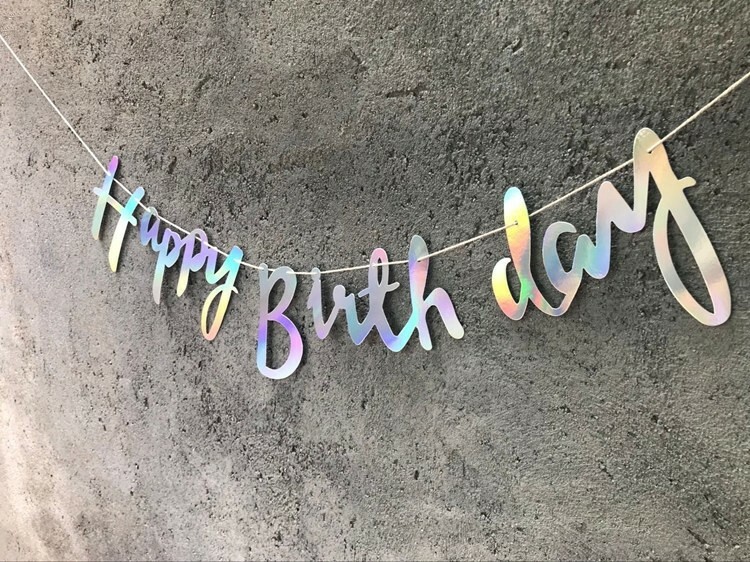 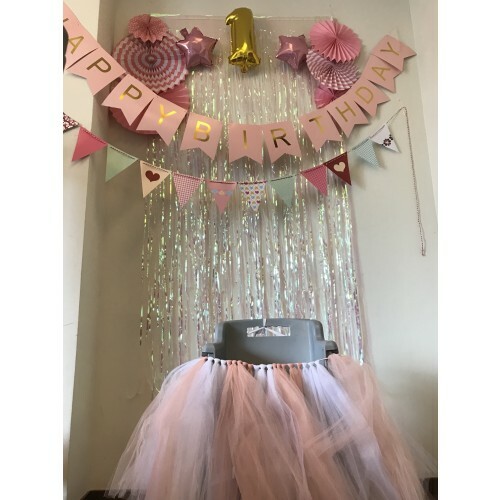 When you select the "Foil + Holographic Birthday Banner" option, you will receive one foil fringe curtain with one holographic birthday banner. 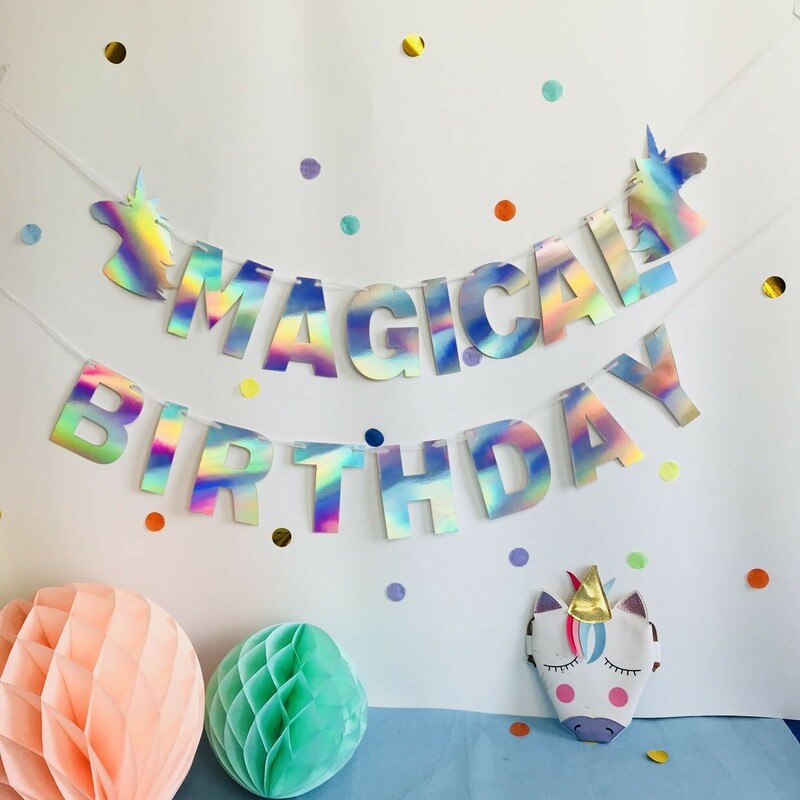 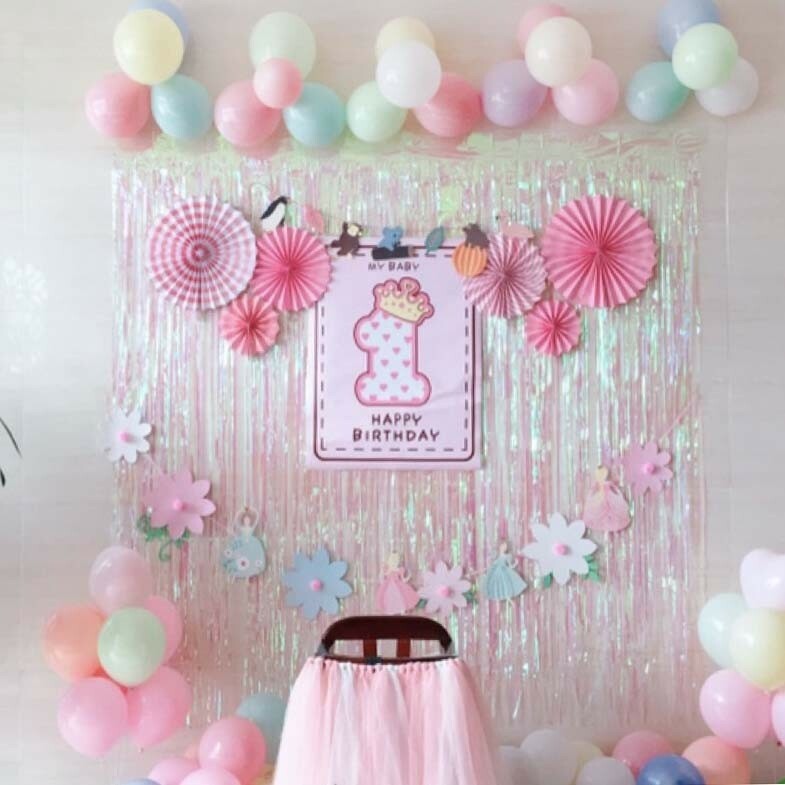 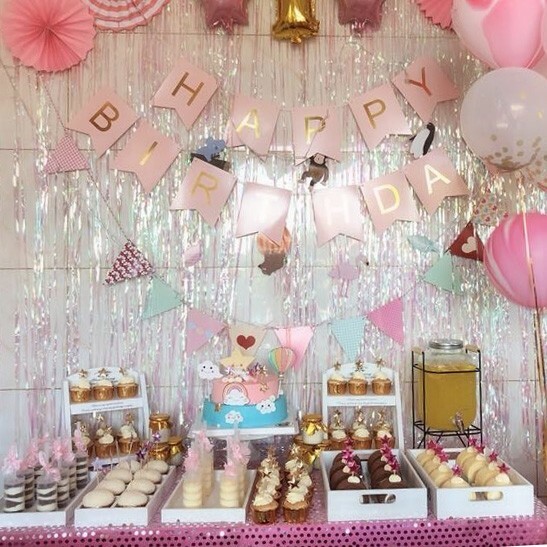 When you select the "Foil + Magical Birthday Banner" option, you will receive one foil fringe curtain with one magical birthday banner. 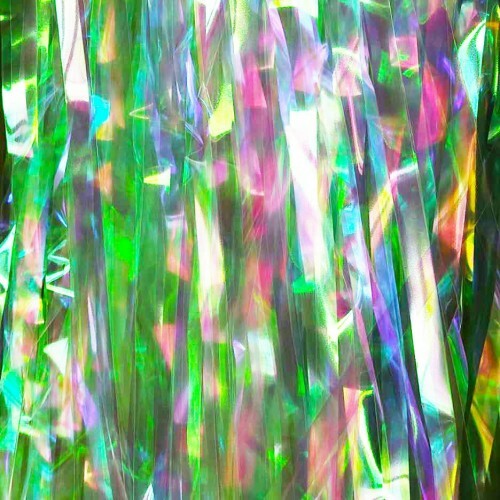 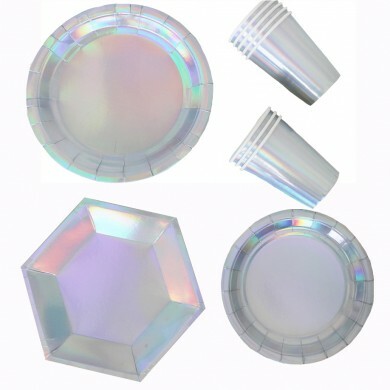 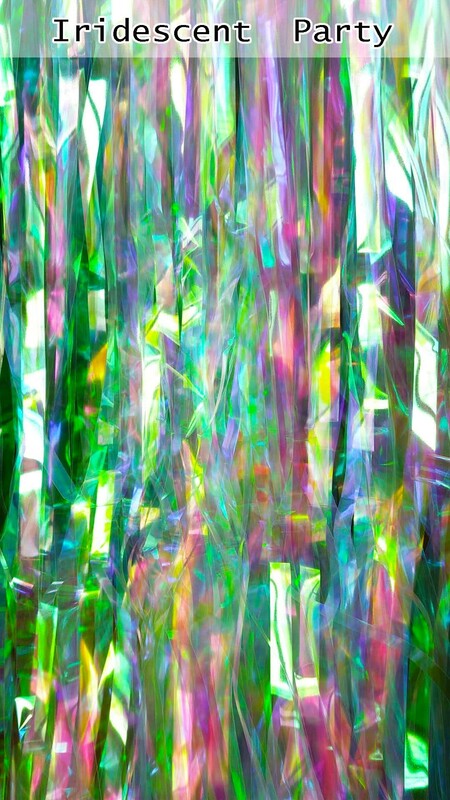 It is made by holographic paper.